Patrick has been able to lay out a roadmap for me on how to build the practice and business I knew I wanted. I have found my tribe with Patrick and his team of amazing badasses! Patrick Tucker is a revelation. This book is a gift. It’s full of tools, guidance, and lessons. Patrick is helping to change the financial services industry as we know it. The financial services world is as predictable as it’s ever been. Stuffy suites, financial product sales and commission gerbil wheels. The industry provides no training on how to run a real, recurring revenue financial planning business. 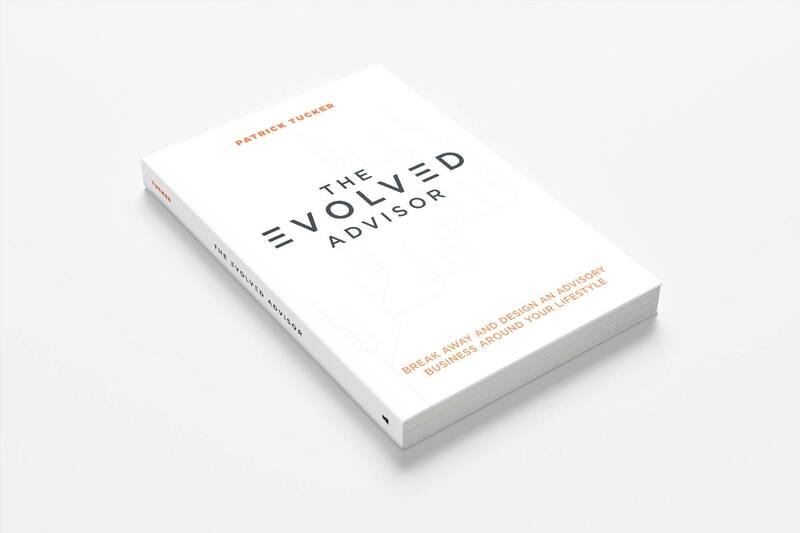 In The Evolved Advisor, Patrick Tucker, 7-figure financial advisor, coach, speaker and author, teaches you how to design, build and launch your own entrepreneurial financial planning business. After 20 years in the industry, he’s still in the trenches with you. He operates an elegant 7-figure financial planning practice and he’s packaged his philosophies into an easy to implement guide that helps you launch from start to finish. Break Away: Leave the sales culture and break the chains of the 9-5 so you can design a business that aligns with your values. Design Your Life: Design an advisory business around your lifestyle. Choose Your Business Style: Pick a business model that best suites your needs. Overcome Your Fear Of The Unknown: Learn how to navigate the uncertainty that comes with launching your own practice with the help of Tucker’s mentorship. With this powerful guide, you’ll learn how to launch your 7-figure business and become a valued financial caregiver to your clients.